Preheat oven to 350F. Line a muffin tin with 15 liners. Whisk together flours, baking powder, soda, salt, cinnamon, chia, and brown sugar in a medium bowl. In another bowl combine eggs, buttermilk,vanilla, and bananas. Stir wet ingredients into dry ingredients just until combined. Gently stir in most of the nuts, keeping out a few tablespoons to sprinkle on top of the muffins. 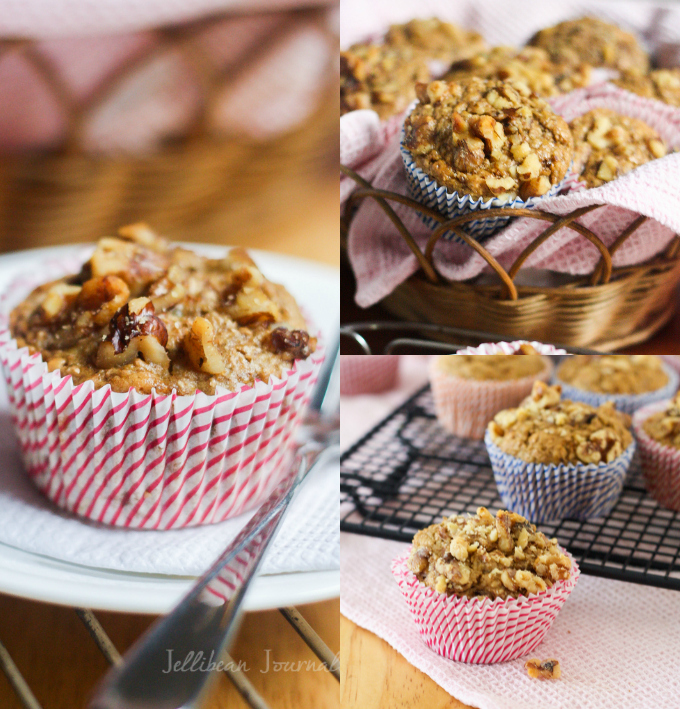 Divide into lined muffin tins and top with remaining nuts. Bake 20-25 minutes or until a toothpick inserted removes clean. Remove muffins from tin to a cooling rack. Store in an airtight container for 2 days unrefrigerated or for up to 4 days chilled.